This review is about item#351251. Use degreased. Originally it was around 3 minutes, but in a few days it got strange sounds and strange sounds came around for only about one minute. However, it is good quality as it goes without being damaged. This review is about item#329244. I used it for bearing exchange of radio control engine. As expected there is nothing wrong with NTN. This review is about item#351425. I was looking for something of high quality with this size. Although I am still using it shortly, I think whether there is no problem. This review is about item#350314. There is no problem in use, it is satisfied with less than half the amount of genuine parts. Naturally the quality is not a problem at all. Since each one was packaged and the label was affixed, work proceeded smoothly without mistaking as other part numbers. Even a small number could be purchased and it was greatly saved, so I used coupons, so real fees were 0 yen and I was satisfied with it. This review is about item#00329296. There is no mistake in the product. 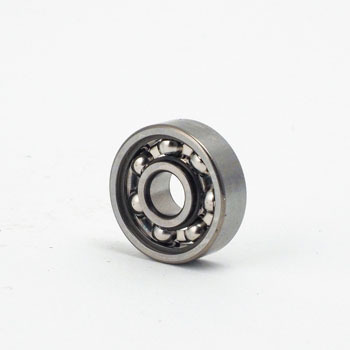 The price is cheap, but before that I think that shipping cost was free even if only one bearings were purchased. I am quite troubled to make it free shipping. Even if the delivery method changes, I will not say that the shipping fee is free (it is free at Yodobashi) It will become easier to buy if it is cheaper.